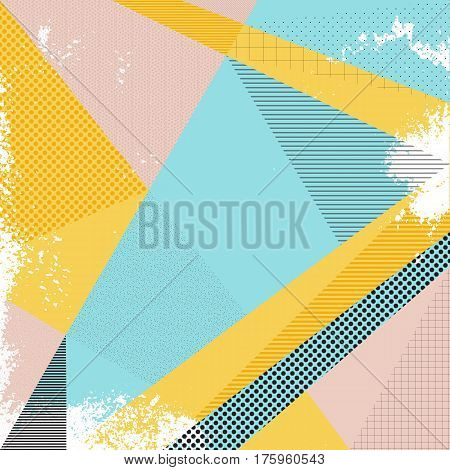 Abstract vector background in trendy retro 80s 90s memphis style. Universal card pastel colors. Retro design fashion art. Modern abstract design poster cover card design. Geometric background in retro 80s-90s style. Memphis trendy art. vrijwaring: Ondertekende portretrechtvrijgave die bij Bigstock is geregistreerd.